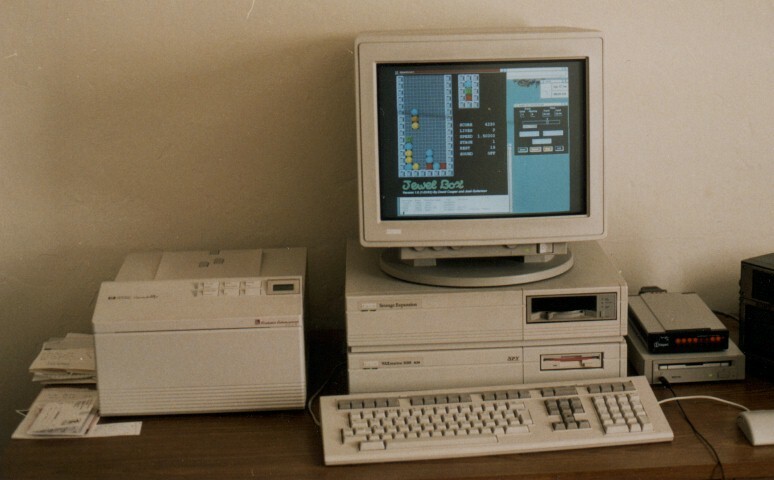 TOYVAX is a Digital Equipment Corporation VAXstation 3100/SPX Model 38 recently upgraded to OpenVMS VAX V7.2 with DECWindows Motif V1.2-5. It's not as pretty, nor as fast as the VAXstatation 4000 series or the AlphaStations, but I love it just the same. I've connected a Sony boombox to the audio output of my RRD46 CD-ROM player and use XMCD to control the player. TOYVAX is on the Internet at toyvax.Glendale.CA.US. The above picture is from May 1997. 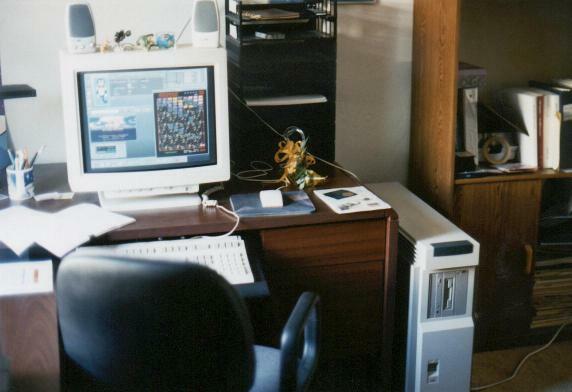 In 1996, TOYVAX got company with the purchase of a 275MHz DEC 3000/900 Alpha workstation named ALPHIE. These are the two I keep running. 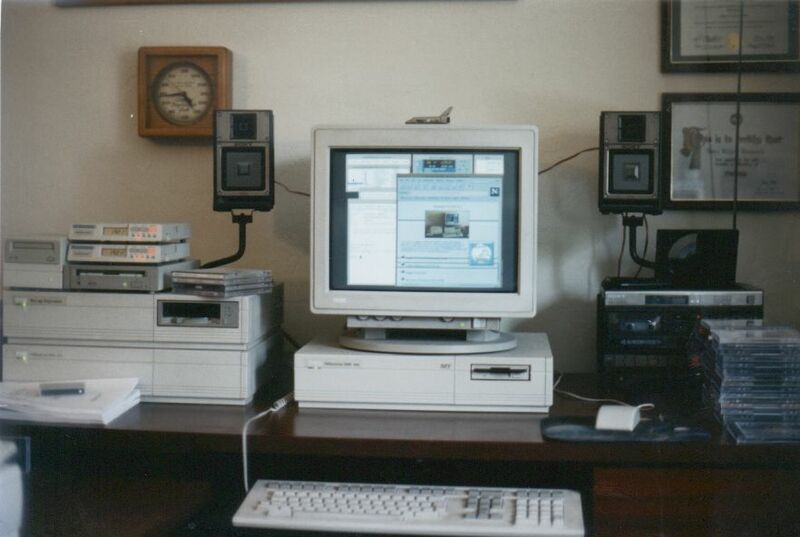 I also have two other VAXstation 3100s, another Model 38 and a Model 76/SPX. In addition, I have a VAXstation 4000/60 with SPXgt graphics.